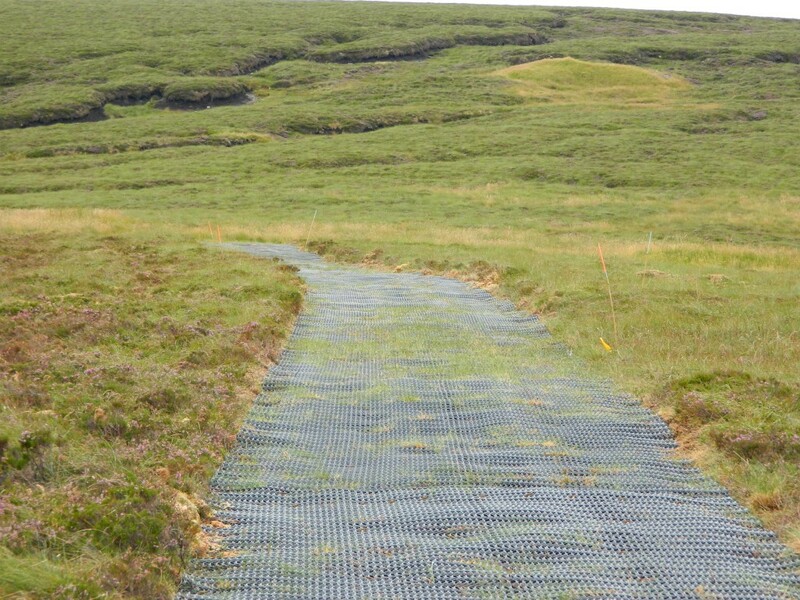 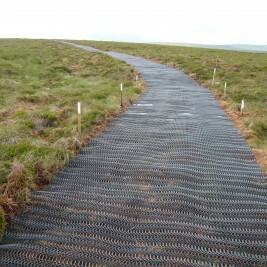 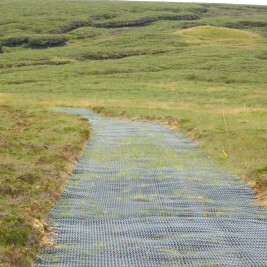 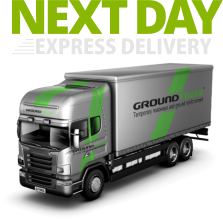 Moorland Mesh is a heavy-duty plastic mesh that provides a reinforced access road across moorland and soft boggy areas. 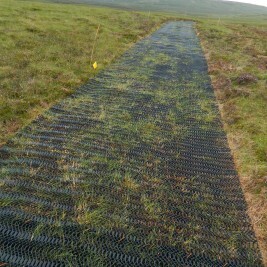 The reinforcement mesh allows the native moorland plants to grow through the mesh whilst providing a stable access road. 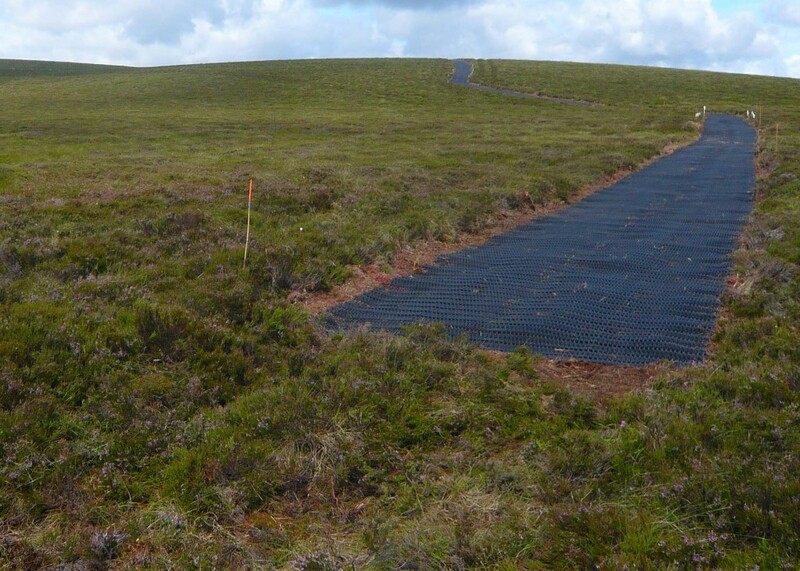 To protect its fragile ecology and natural beauty, a significant amount of moorland in the UK has restrictions on development including the type of surface you can use for access roads and tracks. 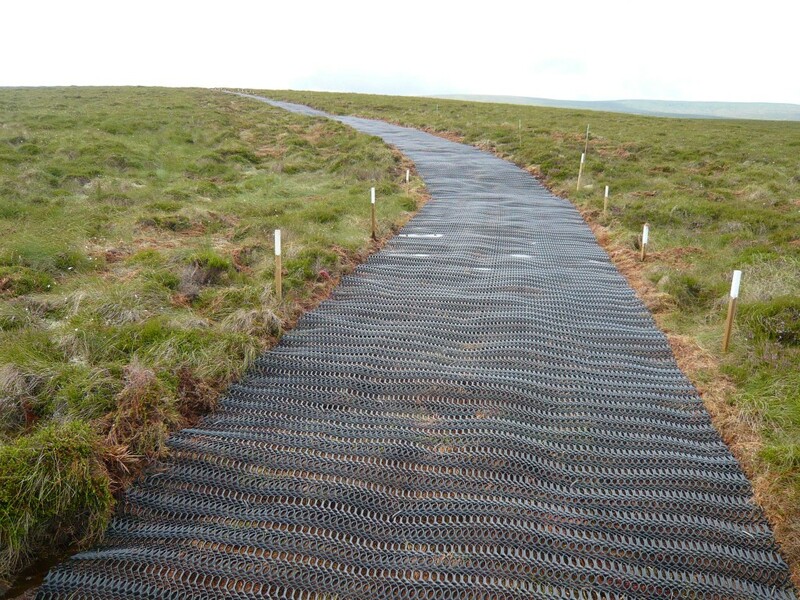 Moorland Mesh provides a strong and stable track allowing relatively safe passage over the moorland by agricultural workers or ramblers and vehicles with little or no impact on the flora and fauna in the area. 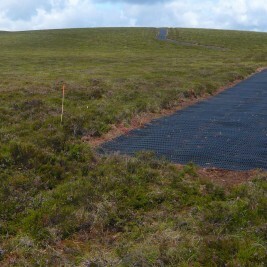 It is also flexible enough to follow the undulating surface of the moorland, whether that is peat or firmer ground, and its open structure allows the native moorland plants to grow through. 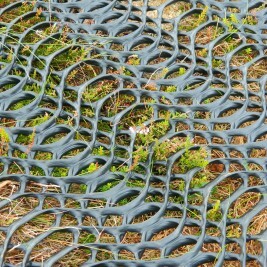 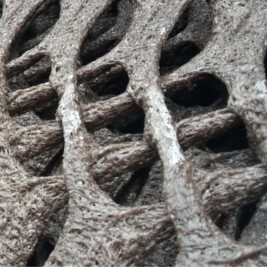 The reinforcement mesh is UV stabilized, will not rot nor leach any toxic chemicals into the surrounding ground. 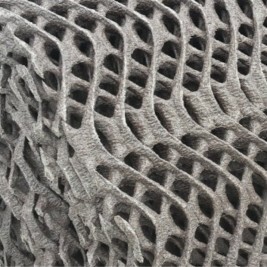 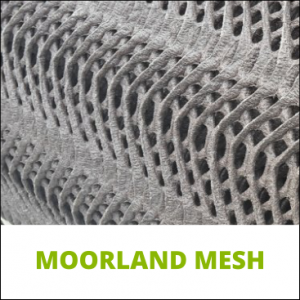 Normally, Moorland Mesh is pinned down to the underlying top surface. 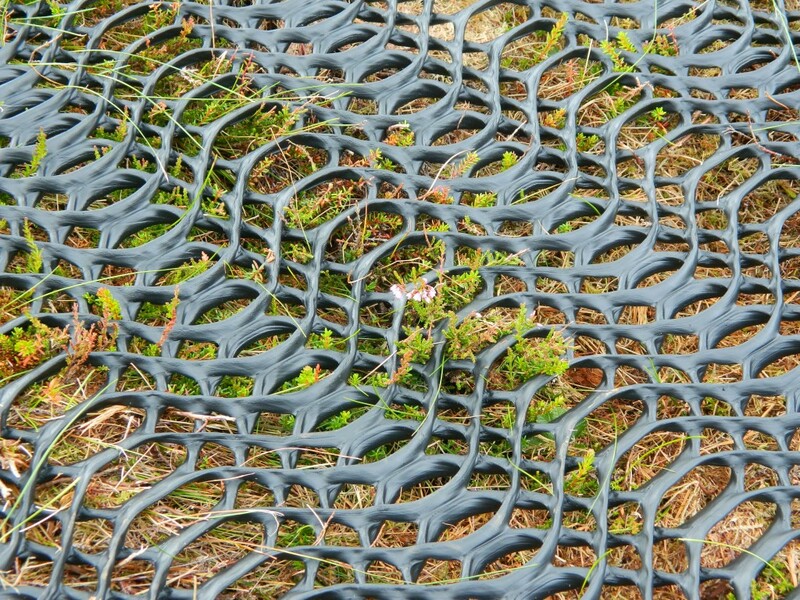 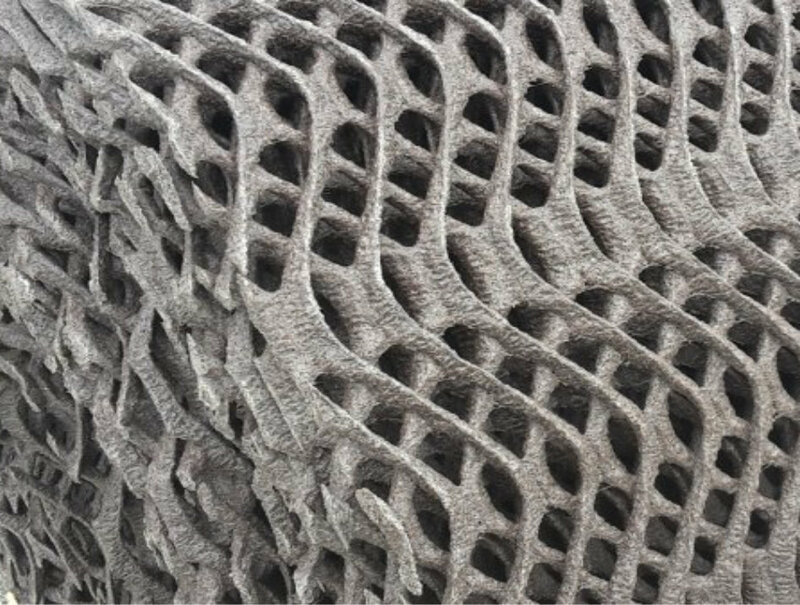 Over time, the natural vegetation becomes entangled in the mesh to hold it in place and improve structure and stability. 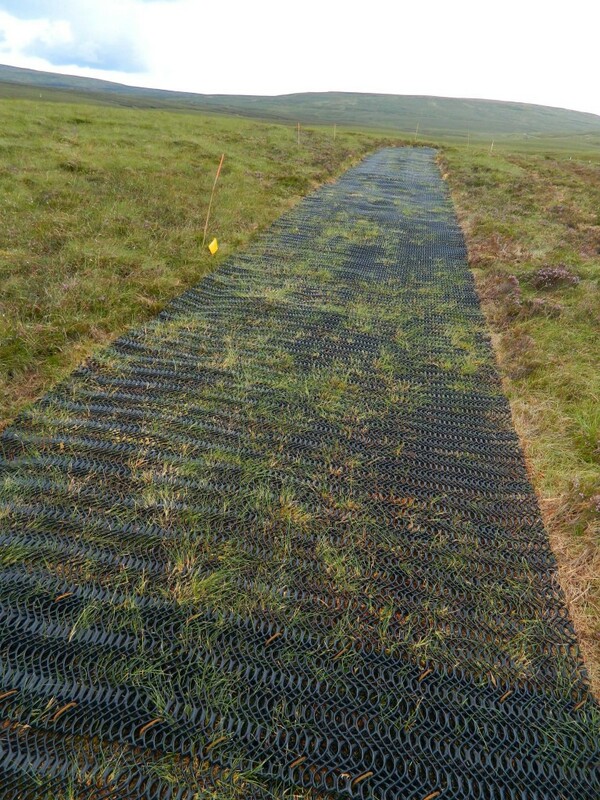 However, each location needs to be evaluated on a case by case basis to allow for variations in the type, depth and slope of the surface. 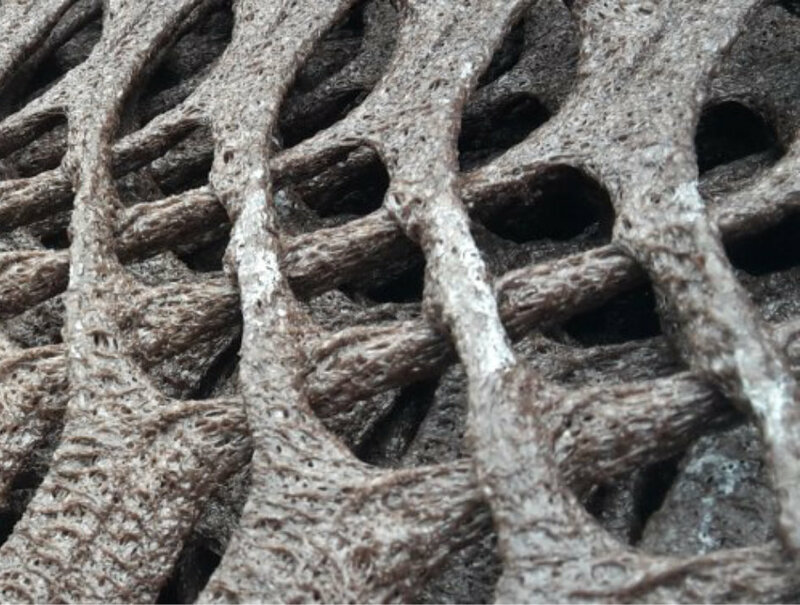 The precise installation method will be tailored to meet the conditions at the location.